ARCHIVE–As Eng. 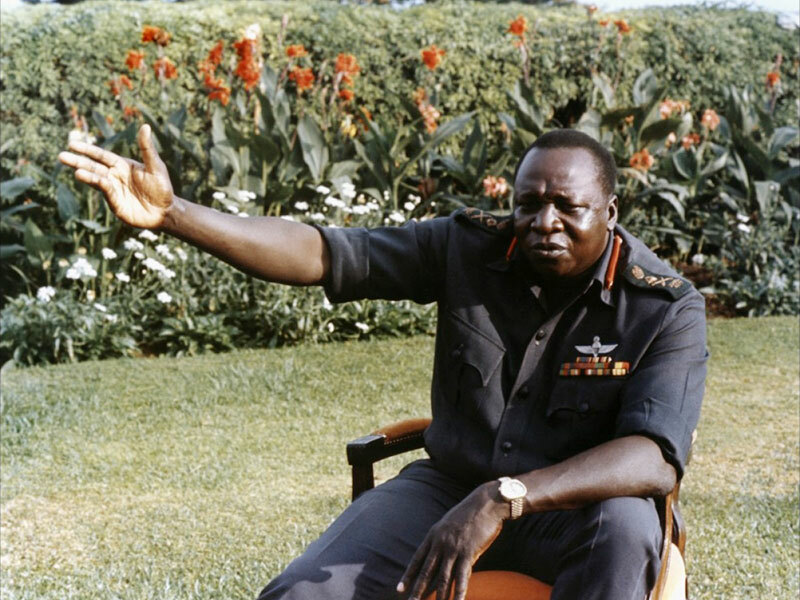 Openyto walked towards President Idi Amin he was sweating his heart pounding, as he trembled at the prospect of coming face to face with the dictator for the first time in his life. But the wide smile of the President – showing glittering white teeth – reassured Openyto that it was sometimes possible that the dinner invitation of the lion to the rabbit did not always mean that his nibble-some guest was necessarily on the menu. Openyto decided he was going to relax and try to enjoy himself. Openyto was a man of fair size; but he looked and felt a midget when he, for the very first time, stood before the tall and towering President whose sheer height and size were very intimidating. 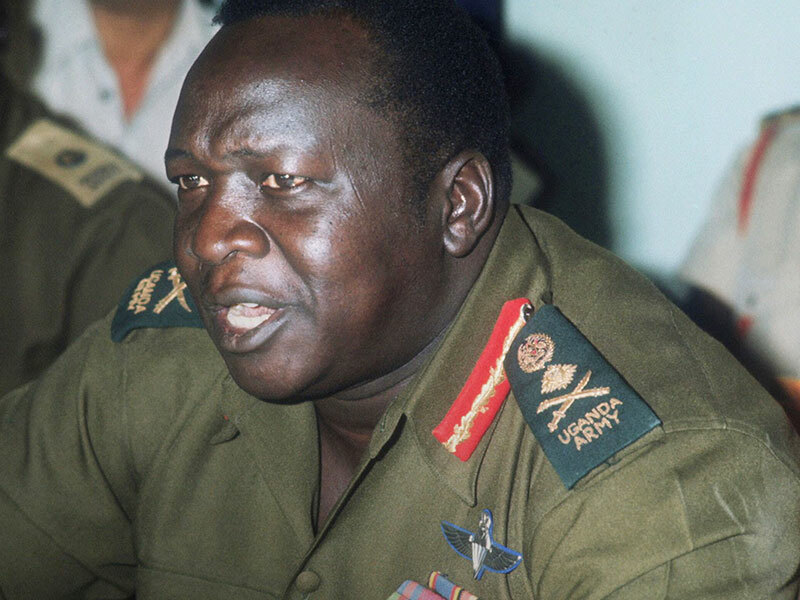 Idi Amin was a big man in every possible sense of the word, whichever way you looked at it. The President was in great moods, smiling broadly and laughing generously; it was clear the two million dollars delivered by the Bank of Uganda Governor, Onegi Obel, had done him no harm at all. He reached out to Openyto in what turned out to be such a huge handshake, the hand of the MD of the country’s water supplier, felt like a raccoon’s paw in a bear’s. “You are just the man I need; because you seem to be a good man,” he told him as he ushered him into State House. Another first time. Then he noticed Openyto sweating. “I could give you a water melon if you like,” the President offered, as they walked. “Hot or cold?” Openyto wasn’t sure what proper people said when the President made an offer. He laughed again, slapping Openyto heavily on the back, in a friendly pat. Openyto felt some pain and winced. The President had a heavy hand. He took the two men – Openyto and Onegi Obel – into a spacious room with beautiful, nicely cushioned seats. When they had sat down, Amin ordered an aide to bring Openyto a drink. The Head of State was eager to know more about Openyto – who he was and where he hailed from. Openyto took him through his life story, right from the villages of West Nile to Britain and back to Uganda. Amin was suitably impressed and made no secret of it. Openyto wondered how on earth it could possibly be top secret, when a third party in the form of Obel, was around, but he kept his counsel. “Do you know many engineers?” Amin asked. Openyto was in no doubt what the President had in mind when it came to stopping opponents real or imagined. He already could see a happy crocodile somewhere in the River Nile. Espionage was the last thing he knew he could ever want. But this was no time to begin voicing one’s sentiment. Amin sensed Openyto’s tension and quickly moved to reassure him. There was a moment of silence in which he expected Openyto to say something. But the engineer’s spirits were sinking even lower. “Do you understand?” the big man boomed, causing Openyto to jump a little at the unexpected jolt. “Yes, Your Excellency,” said Openyto, clearly nowhere near getting the point. Openyto stole a glance at the Governor and the two men exchanged knowing looks. Onegi knew Openyto well enough to know this deal would never see the light of day as long as it involved a softie like Openyto. But that could be discussed later. Openyto turned his attention back to the President who was moving about the room, talking about something and laughing at his own joke, which Openyto neither understood nor found funny, but because Onegi Obel was laughing, he also laughed politely. The President bounced around the room as he talked. He was in good spirits and it showed. It amazed Openyto that a man so big could move around so comfortably. “Those Baganda are very hopeless characters,” said he. “Completely. Amin, it turned out, loved the word “completely”. Many of his intentions had a ‘completely’ about them; and come to think of it, he never did things by the half. When he liked you, he liked you ‘completely’ – and would give you anything he thought you should have. Hardworking sweeps were, on a couple of occasions, appointed managers in the twinkling of an eye, just because the President thought the manager incompetent. And if he disliked you, he did so “completely”. And usually that meant you’d be dispatched to meet the Creator. Completely. “And when I get any of them,” the President paused, took a step back and assumed a boxer’s posture. “I will hit them…like that.” The big man delivered a series of punches in rapid succession at an imaginary opponent, then he feigned to one side to dodge an imaginary blow, before delivering a powerful uppercut with his right. He laughed, obviously pleased with himself. Openyto had heard many things about Idi Amin; but he had never known the dictator to have a soft, humorous side. Amin, when in good spirits, laughed loud, long and deep; he laughed sincerely. Openyto was now also sure about something else; Amin did not win his boxing duels only because his opponents feared to embarrass him – the man was huge. And big. And fit. Very fit. Openyto thanked the President for the offer and assured him – with a straight face – that he’d execute his new mandate to the best of his ability. He however pointed out that it would not be easy because his present job as MD of National Water & Sewerage Corporation involved oversight of Kampala, Entebbe and Jinja and there was a lot of work, which meant progress would most probably be slow. “Why don’t you tarmac the Arua-Pakwach Road?” asked Openyto, growing in confidence and also wary that this might be the only chance he ever would have to lobby for a development project back home. “No way,” said Amin. “The tarmac will be offensive – if the animals in the National Park smell it, they will run away.” “Completely,” he added as an afterthought. game could change too. Completely. The two men bid the President goodbye and drove away. No sooner had they eclipsed the final checkpoint than Openyto turned to his friend, angry that he had brought him along, and walked him right into trouble. Openyto also made it clear that he would in no wise follow up the promised vehicles, talk less of the chopper; and that if anything happened to him, the Governor would be to blame. Openyto was unhappy. The Governor, wisely, said nothing. The two men did not speak again until the car stopped at the gate of the Governor’s mansion; bringing a much-needed end to the somber atmosphere in the car. Three weeks later, the Governor called up Openyto and asked him what progress he had made on the President’s project. Openyto told his friend to go to hell. There was nothing so far and more importantly, there would be nothing at all. Slowly, the President got entangled with other matters of state and interest in Openyto waned; especially as the region began to get tense politically, with the clouds of war beginning to gather. The President got busy. Completely. Another excerpt from Eng. Openyto’s great bio, “DRINK AS YOU PAY”, available soon, in a bookshop near you.